grating is manufactured in load bar depth and thickness; load bar and cross rod pitch. The grating is manufactured from AS3679 – Grade 235 Mild Steel (or equivalent) designed for high impact, high load applications. offers a comprehensive range of standard grating profiles, as outlined under the Patterns Available and Load Table pages. also has the capacity to custom manufacture grating profiles to suit project specific requirements. Provide with the relevant specifications and requirements of your gratings project, and we`ll manage the rest. Producing the engineering and drafting services to complete the grating solution. Managing quality and production controls to deliver the grating package to your requirements. 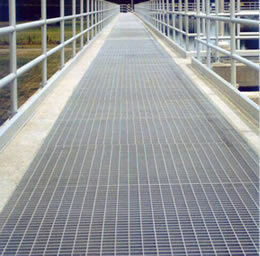 Looking for ideal Walkway Safety Grating Platform Manufacturer & supplier ? We have a wide selection at great prices to help you get creative. 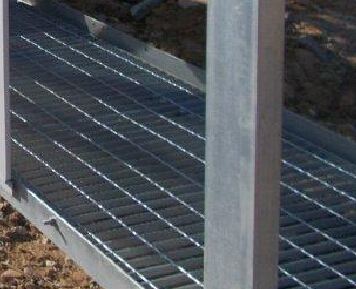 All the Walkway Safety Grating Installation are quality guaranteed. We are China Origin Factory of Walkway Safety Grating. If you have any question, please feel free to contact us.